Set in the 1790s, this novel essentially shows that cowboys were as much invented in Wales as in Wyoming. Running through this Welsh Western, with its personalities, adventure, and incidents, the storyline has the strong cultural, emotional, and human elements that make Westerns so appealing – by exploring how people act in the drama of their own lives. 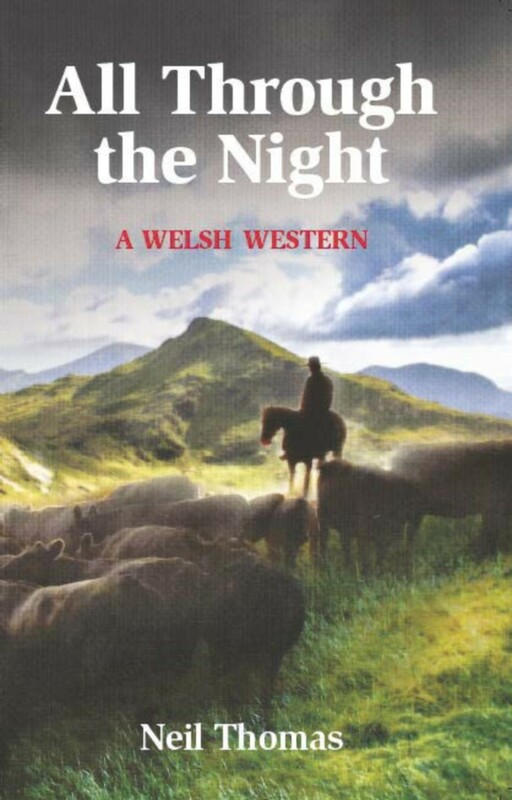 Written very much in the style of an old-fashioned Western, this tale of Welsh drovers taking a large herd of cattle from the "wild west" of North Wales to London stakes the claim that these interesting characters were the first cowboys. What happens in Westerns happened here to drovers on their cattle drive. Engaging the reader with its authentic period feel and rich excitement, All Through the Night tells the rights-of-passage tale of a young man seeking to escape his background. Relations between the drovers and the good and bad people they encounter on their cattle drive make for a lively and emotional tale. Combining romance and the romantic appeal of life in the saddle with the struggle to ensure that relationships and families survive against all the odds, this book has all the ingredients needed for a satisfying tale of strong individuals being tried and tested on life’s journey. At heart, it is about loss, which is, perhaps, the basic story arc of all our lives: losing people, losing cultural heritage, losing our innocence--all in the relentless unfolding of our life’s experiences.